(Bloomberg) -- Kumi Fujisawa launched her finance career in Tokyo in 1989. It was a notable year: Emperor Akihito ascended the Chrysanthemum throne, the Nikkei average reached its giddy peak and the latest Sony Walkman was a hot-selling gadget. Yet it wasn’t an easy time to be an ambitious young woman in Japan. Despite the skyrocketing economy and implementation of an Equal Employment Opportunity Act three years before, big Japanese firms often didn’t consider recruiting female college graduates. Those who made it through the door were expected to drop out soon to get married. Thirty years later, as Akihito prepares to end the current imperial era by ceding the throne to his son, Naruhito, Japan’s asset bubble is a distant memory. High-tech manufacturing has largely gone elsewhere. The percentage of women in the workforce has risen yet mainly as a result of a labor shortage caused by the rapidly aging population. Fujisawa knew there was a tough road ahead because she was a woman, so she charted her own path, and unlike most of her women contemporaries, prevailed in her professional career. Fujisawa’s professional path ran its course during the current imperial era known as Heisei, which opened with Japan as a juggernaut economy and will close in few weeks with China clearly ahead. She was among several women Bloomberg News interviewed about their changing career prospects as Japan prepares to announce the name of the next era Monday at about 11:30 a.m. Tokyo time, a month before the new emperor ascends the throne on May 1. Still, one thing has remained -- ambitious women facing barriers in a society that openly favors men. 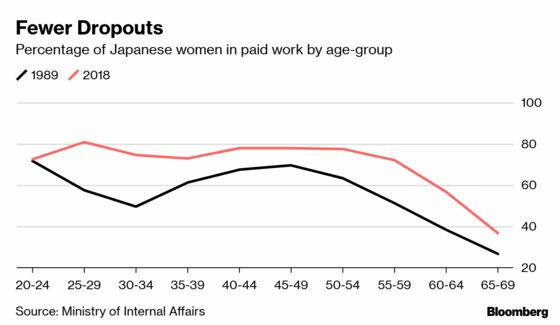 Women in Japan are often paid less than their male peers, denied access to career opportunities and have more trouble climbing the corporate ladder, especially if they have children. 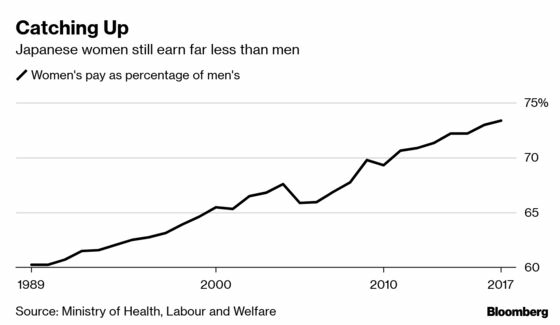 Women are still paid only three quarters as much as men on average, and Japanese boardrooms are among the biggest boys’ clubs in the developed world. Institutional gender bias remains. Last year, it emerged that some of Japan’s top medical schools for years had rejected female applicants in favor of less qualified men. Prime Minister Shinzo Abe has pushed to promote women in the workplace yet success has been spotty: Japan placed 110th of 149 countries in the World Economic Forum Global Gender Gap index last year. About one in five local Japanese assemblies has no female members. And women hold just 13 percent of local assembly seats, broadcaster NHK reported in March. The entrenched bias extends to the imperial household. The new emperor’s only child -- a girl -- won’t be allowed to inherit the role under a law that prevents women from ascending the Chrysanthemum Throne. In contrast, the U.K. now is gender neutral when it comes to the order of succession to the throne. 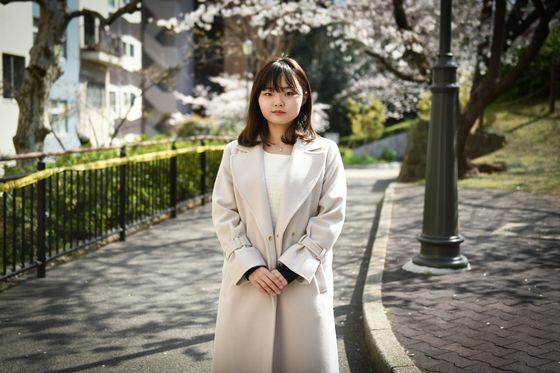 At the other end of the imperial era is Marina Fukumoto, 22, a martial arts enthusiast who this year graduated with a law degree from the elite Keio University in Tokyo. She is about to start her professional career and is facing gender bias -- just as Fujisawa did three decades earlier. Fukumoto said she overplayed her ambition in interviews and that may have dashed her chances to snare her dream job with a real-estate development company. A Japanese consulting firm seemed appealing, until she realized there were no working mothers. In the end, she picked an IT start-up, where more than half the employees are women -- many of them mothers. Unemployment among those ages 15-24 surpassed 20 percent in France and 8.5 percent in the U.S. last year, compared with less than four percent in Japan, according to the World Bank.